Niger Delta Development Commission (NDDC) invites Applications for suitable and Qualified Niger Delta Indigents for its 2016/2017 Masters Program. 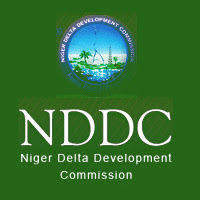 As part of our Human Resource Development initiatives, Niger Delta Development Commission NDDC, is commencing the 2016 Post-Graduate Foreign Scholarship Programme, to equip Niger Deltans with relevant training and skills for effective participation in the Local Content programme of the Federal Government, as well as compete globally in various professional fields. First Degree with minimum of 2nd Class Lower Division for those wishing to undertake a Master's Degree programme and a good Master's Degree for PhD candidates from a recognized University. Applicants who have already enrolled in overseas' universities are NOT eligible to apply.